Working in the seas around New Zealand, the scientists concentrated on a closely-related group of species, known as a genus, called Rhachotropis. They found a new species and made fundamental discoveries about the family's origins  it turns out that not all New Zealand members descend from a common ancestor. "In the science field I'm in, finding a new species is quite regular," explains Dr. Katrin Linse of the British Antarctic Survey, one of the international team behind the paper, which appears in PLoS ONE. "We're going to areas where noone has ever looked before." "There could be similar patterns elsewhere," Linse points out, making it clear that there is more to discover about the deep. "Rhachotropis is an excellent example." 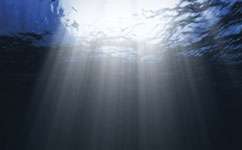 80 per cent of the world's ocean is deep sea  cold, dark, deep and unexplored. "There's plenty more work to be done," points out Linse. "We know more about the moon than we do about the deep sea." Better article title: Researchers do their job and find new pattern in nature, deep-sea diversity pretty much what anyone with a brain would expect.